PARRISH – After being closed in anticipation of a visit from Hurricane Irma, DaySpring Episcopal Center opened back up again for an annual clergy conference Sept. 18-19. 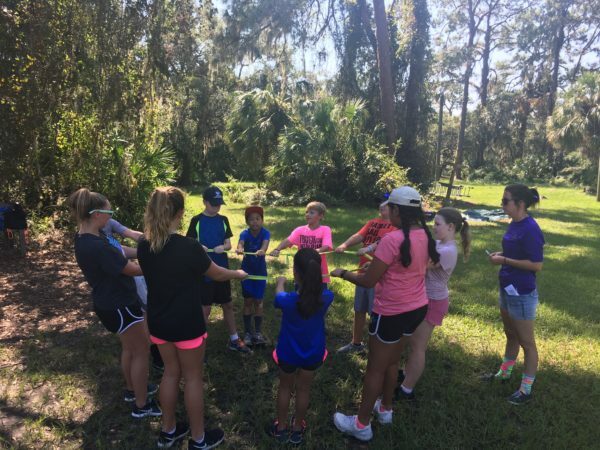 This week, DaySpring welcomed the St. Paul’s School in Clearwater, and day groups from the 6th, 7th and 8th grades. 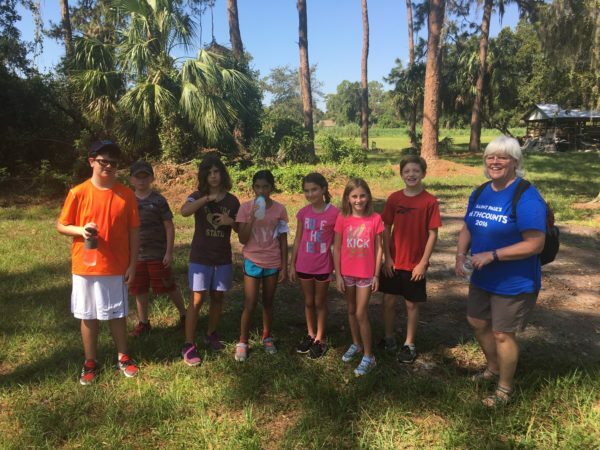 Pictured here, 6th graders outside at DaySpring with Brenda Hiers, math teacher, near the ropes course. St. Paul’s is one of 13 church schools in the Diocese of Southwest Florida. DaySpring Episcopal Center did not sustain major damage, although there was much small limb cleanup for grounds staff. The entire DaySpring staff spent over five days preparing the campus for the storm, including bringing canoes and other items inside. Upcoming fall Episcopal groups coming to DaySpring include Cursillo #137 the weekend of Oct. 5-8; Daughters of the King on Oct. 28; Episcopal Church Women Annual Meeting Nov. 16; and St. Mary’s Women’s Retreat on Nov. 4-5. The Diocese itself will be hosting the conference Hospitality of the Heart Nov. 17-18.